Dental implant restoration may not be necessary if your tooth has fallen off the actual implant. If the implant itself has been damaged or loosened, dental implant restoration will most likely be required. Dental implant restoration may require surgery to carefully remove the implant. Depending on the condition of your jawbone, you may need a bone graft to strengthen the area where the new implant will go. Removing the damaged implant will most likely require you to undergo surgery to remove the implant, clean the area surrounding the implant, and a grafting of your jawbone. Rest assured, this will be performed with you under anesthesia so that you won’t feel a thing. 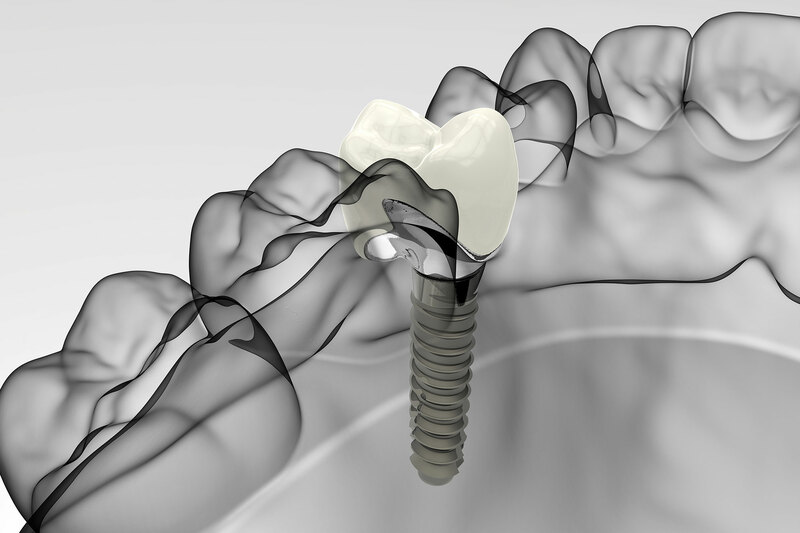 The recovery period may be very similar to when your implant was first placed. You may experience some swelling, pain, and soreness. To counteract these uncomfortable symptoms, we recommend that you use an ice pack for at least 15 minutes at a time, take prescribed medicine, and eat cold and soft foods for several days while your mouth heals. If you also underwent a bone graft, you’ll need to be careful not to put pressure on this area. As you come in to the office for a follow-up, we’ll let you know if you can resume regular eating. Please call us if you have any specific questions or make a dental appointment today at our Coral Gables office!